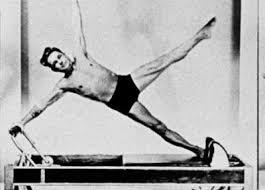 Pilates is a mind-body system of exercise developed in the early 20th century by Joseph Pilates. The exercises are either based on the mat or use the Pilates equipment: the reformer, cadillac, ladder barrel, wunda chair and arcs. The aim of Pilates is to evenly condition the whole body to create postural and muscular balance; improving overall physical function and making you less prone to injury.